all oboe, all the time | how about oboe? Oboe music, all the time, on demand, for free! In many ways it is not perfect — I haven’t figured out how one can view the entire title of a piece nor how to see the artist. And it has to be played in the order served up, though can be switched between album order or random selection. 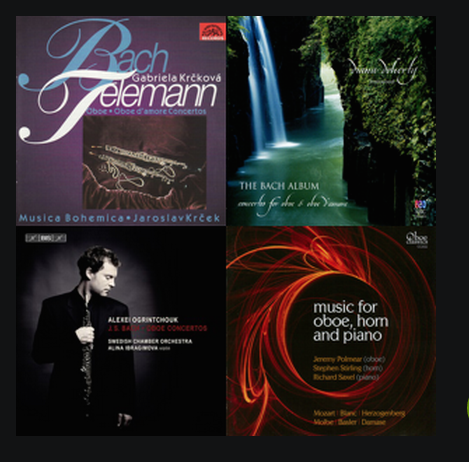 But even given those caveats, my Spotify playlist makes for a nice way to provide oboe music when one wants some. Without further ado, I present “tuuli classical oboe,” available here. Or search for it in Spotify. We like to listen to it while folding laundry. Either we play it on our phones, or I stream via bluetooth to our Tivoli radio. I hope the playlist works for you – please let me know if it doesn’t. And I hope you too find it enjoyable. This entry was posted in classical music, useful links on June 16, 2015 by howaboutoboe.